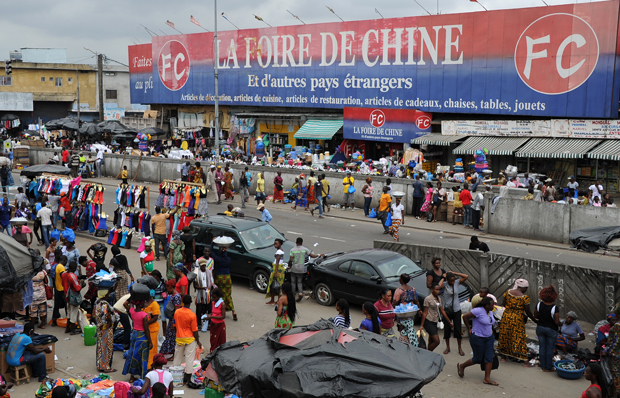 People walk by a store in Abidjan owned by a Chinese shopkeeper, on September 23, 2013. Trade between China and Africa will break another new record this year as it’s expected to top $200 billion. As trade continues to grow, officials from both regions frequently point to these figures as evidence of steadily improving ties. However, Beijing-based attorney Kai Xue warns that while the trade stats are indeed impressive, they also mask emerging difficulties in the Sino-African relationship.